Visually stunning, mysterious, steeped in history and full of deeper meanings – sounds like an ideal choice for tattoos, doesn’t it ? 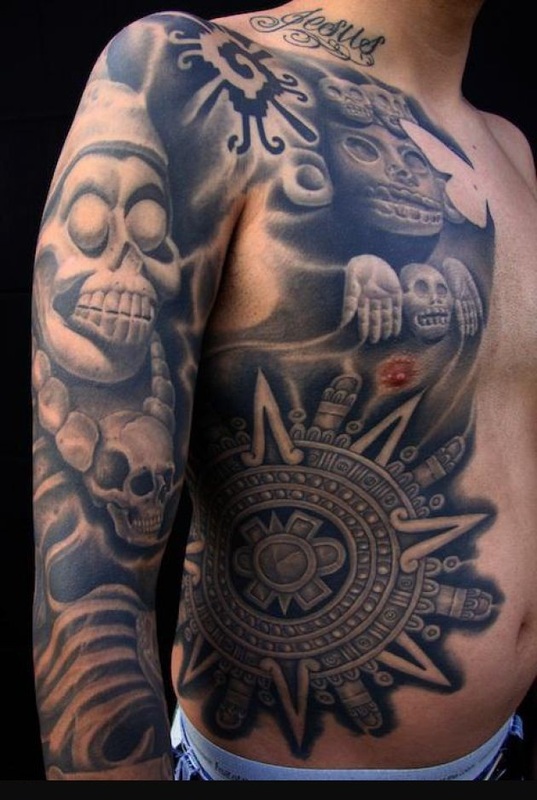 Well all these descriptions can suit tattoo designs based on Aztec symbols and their culture. The fact is that Aztec is an ancient civilization that has many symbol such as their warriors, the sun and their calendar that have found their way into the world of tattoo designs. Aztecs used these symbols as part of their religious ceremonies and rituals. As like any other tribes the Aztecs would also bestow tattoos on warriors and brave men of the tribe with tattoos to mark special achievements. It was also a way of identifying members of one tribe from another.